How Do I Add A Post? 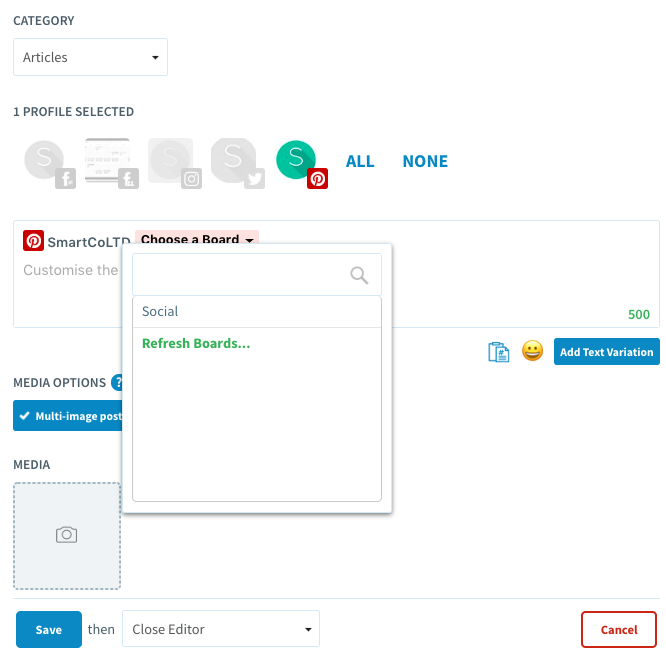 Whether through our desktop site or the SmarterQueue bookmarklet, adding content to SmarterQueue just takes a few clicks! Then, select which social profile(s) you want to publish this post. 💡Most customers select multiple profiles so they can quickly schedule the same post to multiple channels! On all other social channels, you can get straight down the crafting your Post Text! 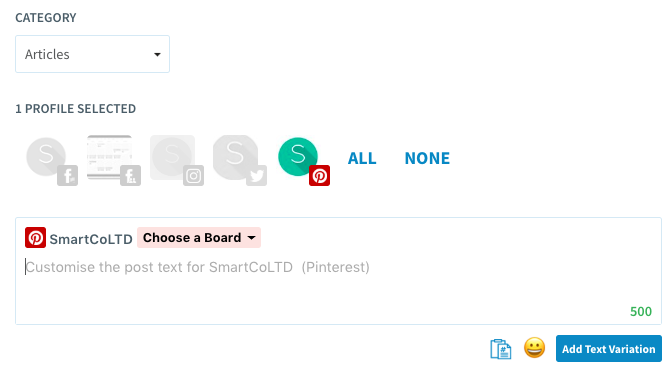 💡Please keep in mind that you can select one Pinterest board per post. Now, you can write the text you want to share on your post! You should customise the text for each social profile you chose in step 3. You can decide whether you want this post to recycle, or only post once. If you choose to recycle your post, you can set a number of times to cycle the post, or an expiry date. Why do I need to manually enter a status for Facebook? When sharing a post/website/article inside SmarterQueue, we automatically add the title of the article to the post body for all services except for Facebook. This is because Facebook has a policy that prevents all third-party scheduling tools from doing so.